I do love photographing dragonflies. Because they are relatively small, live by the water, and are very quick fliers, dragonfly photography can be frustrating. This past weekend I was fortunate enough to be exploring a hotbed of dragonfly activity and, for the first time, got some images of a beautiful indigo-colored flier: a male Slaty Skimmer. In flight, the Slaty is so dark it appears black. 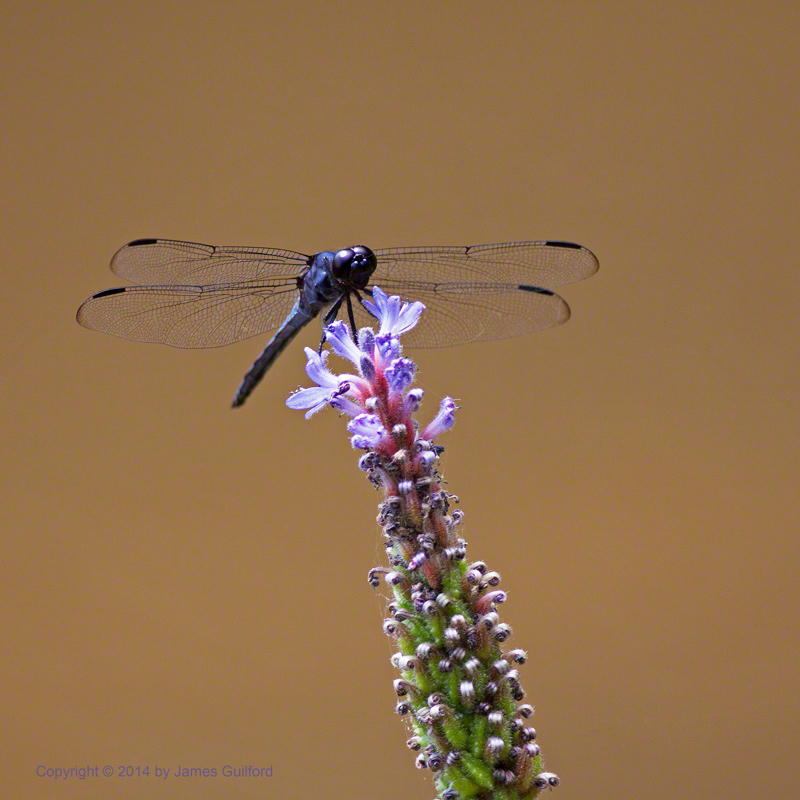 When resting on a plant stem or flower head, the male’s deep blue body shows its true color. Clear wings make the Slaty, and some other dragonflies, hard to photograph unless against a featureless background such as the pond in this photo. I plan to get out a few more times, specifically for “dragon hunting” this season and maybe even shoot some video.